Four Reasons Why Lead Nurturing is Essential. 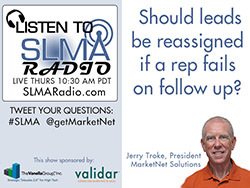 Should leads be reassigned if a rep fails on follow-up? Sales lead follow-up by direct or indirect representatives continues to be the most aggravating, difficult, madding, and frustrating issue confronting sales and marketing management. 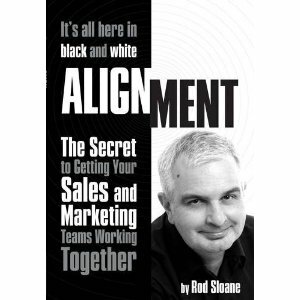 Management demands, threatens, screams and begs salespeople to do their jobs and follow-up expensive sales leads given to them, and failure is their reward 75-90% of the time. In this interview with Jerry Troke, CEO of Marketnet, host Susan Finch and Jerry tackle the issue of simply reassigning sales leads to someone that cares instead of pursuing the impossible dream. Jerry Troke is an entrepreneur and sales/marketing executive with more than 35 years of experience across several industries in b2b markets. Jerry received multiple degrees from Purdue University before joining Rockwell Automation (formerly Allen-Bradley Co) in 1978. After his twenty-plus-year career with increasing responsibilities at Rockwell, he moved on to challenging opportunities with Stiles Machinery in the woodworking machinery industry, and Behler-Young and Heat Controller in the heating/ventilating/air conditioning industry, gaining perspective through working for both manufacturing and distribution companies. 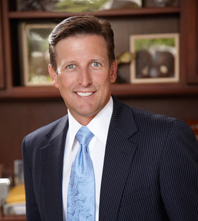 In 2014, Jerry spearheaded the acquisition of MarketNet Solutions, currently serving as its president and owner. Jerry resides in western Michigan with his wife, Sue, where they enjoy sailing on Lake Michigan. He can be contacted at JTroke@MarketNetSolutions.com. MarketNet specializes in Lead Management and Digital Marketing. We help our clients move leads through the sales cycle with lead capture, content creation and lead distribution. Our process helps you save time and money by knowing when your leads are ready to be contacted and knowing what touchpoints and products they are interested in. “No lead left behind” is more than a slogan to us. It’s a deep-seated operating philosophy. Every sales lead represents an opportunity for you and for us. For you, it’s more business. Not only today, but hopefully for the future as well. For us, it’s a chance to deliver a great customer experience on your behalf. We pay attention to every sales lead. Our systems and processes leave nothing to chance. Using our Lead Management process, we work with you and your channel partners to make sure no one is left unattended. No lead is left behind. 90 Days to Increase Sales 30% - Show Me! 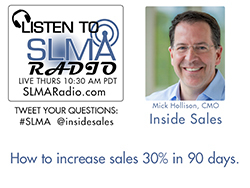 Mick Hollison joined InsideSales.com in June 2013 with over 20 years of experience in technology marketing, product management and sales. Currently, Mick oversees all marketing efforts including public relations, content marketing, paid advertising and website conversion. 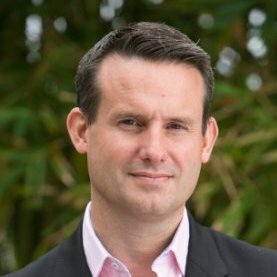 Previous to InsideSales.com, Mick spent 7 years at Citrix, a $2.6B company, recently serving as global vice president of marketing and strategy, leading integrated product marketing and strategy. He was responsible for integrated product messaging, solutions marketing, and marketing strategy and led the development of pricing, licensing and packaging across all Citrix product lines. Prior to Citrix, Mick spent two years at Microsoft where he was responsible for the development and delivery of marketing messages targeting C-level executives. During his tenure, he led a worldwide network of nine executive briefing centers delivering over $4 billion in influence revenue per year, and produced customer events such as the Microsoft CEO Summit. Before joining Microsoft, he spent 13 years with IBM in a variety of executive product line roles. How does iContact Pro measure marketing program success? Every marketer worth his or her salt is on the hunt for marketing tools that yield an ROI for lead generation campaigns. 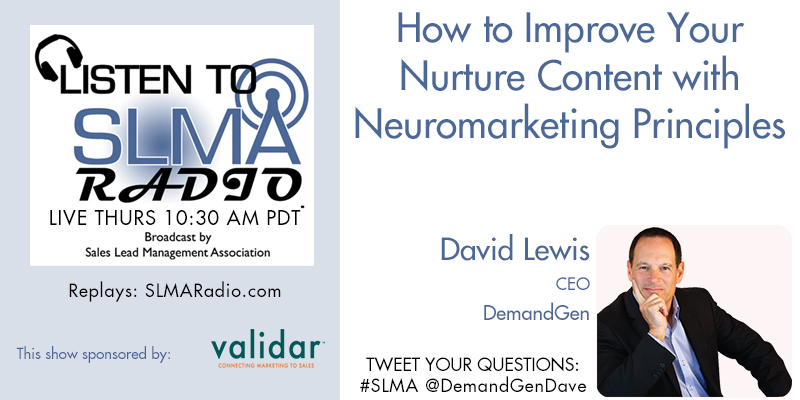 In this SLMA Live program and podcast replay we discuss with Geoff Alexander – President of iContact how they have made the necessary changes to iContact in their new Pro Program to help marketers not only communicate more efficiently but measure their program’s contribution to sales. The host is Jim Obermayer. Geoff Alexander oversees iContact’s day-to-day business operations, including strategic direction, revenue, sales, services, and marketing. Alexander has 20 years of experience in management, marketing, product strategy, revenue optimization and business development with a concentration in business-to-business online/software-as-a-service (SaaS) applications. Prior to Cision and iContact, he held key management positions at a variety of innovative technology companies ranging from venture-backed startups to the Fortune 500 list. Since 2003, small and medium businesses worldwide have achieved significant results by turning to iContact’s best-in-class email marketing solutions and knowledgeable team members. Made scalable to serve the needs of high-volume senders, professional marketers, and businesses new to email, iContact’s easy-to-use technology ensures that every customer has what they need – whenever they need it – to succeed. Headquartered in Morrisville, NC, iContact is an award-winning company in the Cision family of brands. 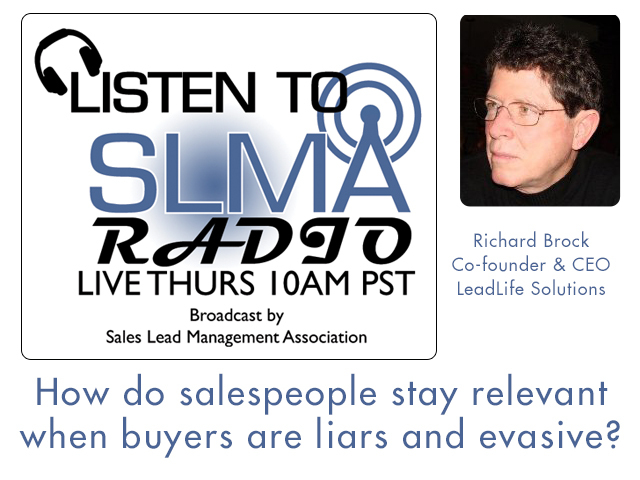 How do salespeople stay relevant when buyers are liars and evasive? 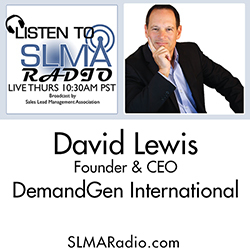 Richards Brock is interviewed by SLMA Radio host Jim Obermayer as they discuss the increasing difficulty of salespeople being able to have meaningful discussions with inquirers. Are salespeople marginalized as the buyer becomes easily educated about products without the benefits of a salesperson? How does the salesperson stay germane in a game where the buyer is often evasive and dishonest about their intent? LeadLife was founded and designed by experts with lots of sales, marketing and customer relationship management experiences. We understand the pressures placed on sales and marketing departments to hit numbers. By the time you get an opportunity to speak with the prospect, they have all kinds of information and preconceived ideas about their needs and the solutions that can meet their needs. So, you need a way of seeing what they’ve done and aligning your conversation with theirs. Unlike other software, SalesTalk is part of a proven platform that interprets the seller’s conversations through a click or touch technology and is combined with the prospect’s digital behaviors, providing consistent execution of your company’s sales strategy. The story-so-far feature within SalesTalk allows you to do just that. SalesTalk’s story-so-far feature is unique because it delivers critical data by tracking the timing and flow of every interaction with a prospect – each and every digital and conversational behavior is logged complete with time spent. All information within the story-so-far is synchronized behind the scenes with a company’s CRM system. In This 25 minute discussion, Jim Obermayer gets Velocify CEO Nick Hedges opinion as to why sales lead follow-up is so dismal, and why sales manager’s appear to not take responsibility in making it happen. Jim says, "The premise is that millions of dollars are spend on lead generation and 75-90% of all inquiries are not followed-up. This means 75-90% of the marketing dollars are wasted and there are huge opportunity loses when sales fails to talk to potential buyers. We have traditionally blamed salespeople, but to follow-up or not is a strategic decision and part of every manager’s responsibility when his/her people fail in this most basic skill." Nick Hedges is president and CEO at Velocify and a 15 year veteran of the Internet and software as a service (SaaS) industry. Nick joined Velocify in 2008 as SVP of business development and then held various roles at the company, including head of sales and chief revenue officer, prior to becoming CEO in 2011. Prior to Velocify, Nick was a case team leader at Bain and Company, where he led strategic assessments in the technology, consumer products, media, and private equity industries. Prior to Bain, he was the CEO of an online marketplace for the global soft commodity industry that provided trading and logistics services to companies across Africa, Asia and Europe. The company was one of the few early dot-coms to generate healthy revenue and was a forerunner of SaaS technology. Earlier in his career, Nick worked at Andersen Consulting (now Accenture) on Internet and process-reengineering projects and at Ogilvy and Mather Advertising as an account manager for big brands, such as Kodak and Ford Motor Company. Susan Finch will be be interviewing Shannon Belew about onilne marketing and her new book, The Art of Social Selling. Susan's second guest is Wade Perry of Coldwell Banker, Devonshire in Colorado. He has been in this industry for over 20 years. The designations after his name begin to paint the picture of his dedication to continue to learn and do better in this industry. His success as a managing broker is living proof. "I fit into almost all of the above categories. A specialist in online marketing and author of the best-selling book, "Starting an Online Business For Dummies All-in-One" 3rd edition, 2011 (Wiley Publishing), I have owned both offline and online businesses, written and blogged about online business, social media trends and tech for nearly two decades, and I am always up for learning more in this always-evolving industry. " Social media platforms such as Facebook, Twitter, LinkedIn and Google+ (yes – even Google+) are changing the way consumers are buying. Learning to tap into these online social media communities is now a must – and social selling should be another necessary part of your sales strategy. That's because the traditional sales funnel has changed for both B2B and B2C companies, thanks in large part to the unlimited access consumers have to information. In fact, consumers are often 70 percent or more through the buying process by the time they first contact a salesperson. And much of that information is made available through social media. Conquering the modern sales process and reaching buyers through social selling means that a salesperson must become a trusted adviser – building meaningful relationships through social media. He will be talking about how the Real Estate industry has gone through major overhauls and must continue to evolve with the changing way people think about purchasing homes and property. Door hanger days are long gone and more relationships are cemented within the communities (farms) these Realtors serve. Wade spends some of his time on Channel 9 talking about the market and touring homes. His first love is his family and coaching his son's teams. Sparking debate and fostering the next generation of professional women through advocacy, mentorship and business moxie is what Juliana Lukasik can bring to your next conference. You’ll want her unique perspective as a expert in high-profile, international product launches and a leader for the cause of promoting women in media. We wanted to hear more from her on the topic of mentoring and relate it to the sales and marketing industries. When SLMA Radio cohost, Susan Finch first heard Juliana speak, it was on a panel honoring the 20 Women of Influence in Oregon. It was sponsored by the Portland Business Journal. Mentoring professionals, especially women, is Juliana's passion. 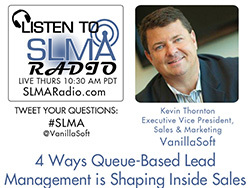 The Sales Lead Management Association is always talking about lead nurturing, lead management and sales skills training. It is our responsibility to dedicate as little as 3% of our time to mentoring professionals and students to help them become the leaders we want to face in sales, as peers. How else will they learn best practices if not from those who go before them? 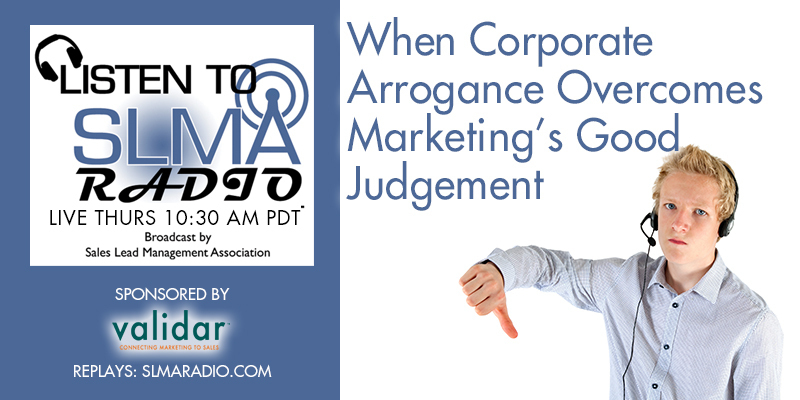 Tune in to hear Juliana and Susan speak about the importance of mentoring in all industries. Juliana has been in the film business for over 20 years. She is in the minority three percent of women commercial directors. She graduated from Oregon State University with a Bachelors of Arts in Broadcast Communications. In 1999, she purchased Signature Films and changed the name to @Large Films. 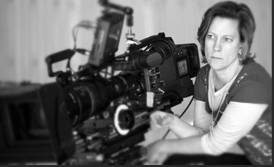 In addition to day-to-day management of the company and business development, Juliana has produced and directed projects that have won Emmy, Addy and Telly awards. As a child, Juliana was told by her father that there wasn't anything she couldn't do. She believed this to her core. She is also the President of the CEIC (Central Eastside Industrial Council). Along with her love of advertising, Juliana is currently in pre-production on a project about one of her favorite subjects, pet adoption. Follow her: @julianalukasik View her LinkedIn profile. Susan Finch will interview The Vanella Group, Inc. CEO & Founder, Mari Anne Vanella about topics including “Filling in the White Space Between Conversations.” How can you recognize opportunities for a low touch dialog that is effective without pushing for a meeting or conversation the prospect isn’t ready for. Mari Anne Vanella has over 25 years of sales and business management experience. Mari Anne’s firm, The Vanella Group, Inc. has served the B2B technology community with teleservices-based lead generation services for 13 years. Her clients list includes Hitachi, SAP, and many others. Mari Anne is an accomplished speaker, author, and thought leader in the sales and marketing domain. Her blog, Insights into Cold Calling, features content for today’s enterprise sales teams and has thousands of readers. She has spoken at Dreamforce both in 2011 and 2012, recently was featured in the 2013 WBO Sales Bootcamp as a speaker, and does a lot of work to further educate and modernize the approach companies take to long term pipeline development. Her book “42 Rules to Cold Calling Executives” has been a bestseller on Amazon for several years. Mari Anne has been named to the 20 Women to Watch in Sales Lead Management 2011, 2012 and has been nominated in 2013 - winners yet to be announced.